OMG! Many enemy missiles are falling down to the Papi Town. 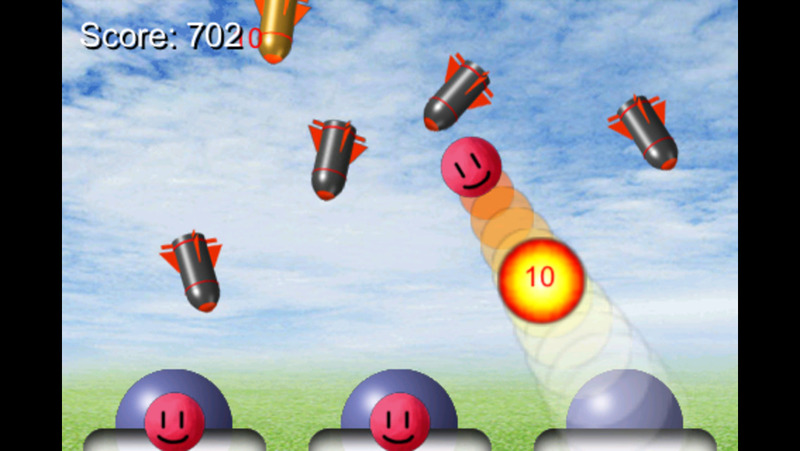 Slide your finger from a military base to launch Mr.Papi (red ball guy) and break all the enemy missiles. - If you break many missiles at a time, you get more score. - If all the bases are destroyed by missiles, the game is over. - Sometimes an extra base flies through the air. If he gets it, a destroyed base will be recovered.